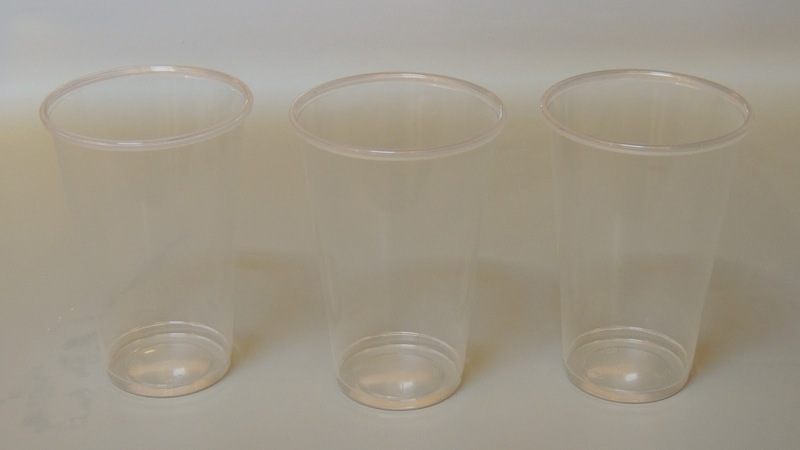 Use three clear plastic cups lined up in a row. Put yellow food coloring in one and blue food coloring in another leaving the middle one with nothing in it. 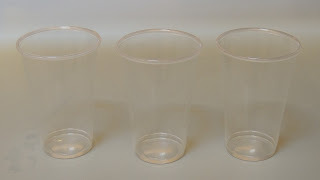 Fill the cups with water to the top. 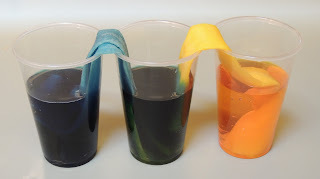 Place a paper towel from the cup with yellow into the clear water cup and a second paper towel from the cup with blue into the clear water cup. 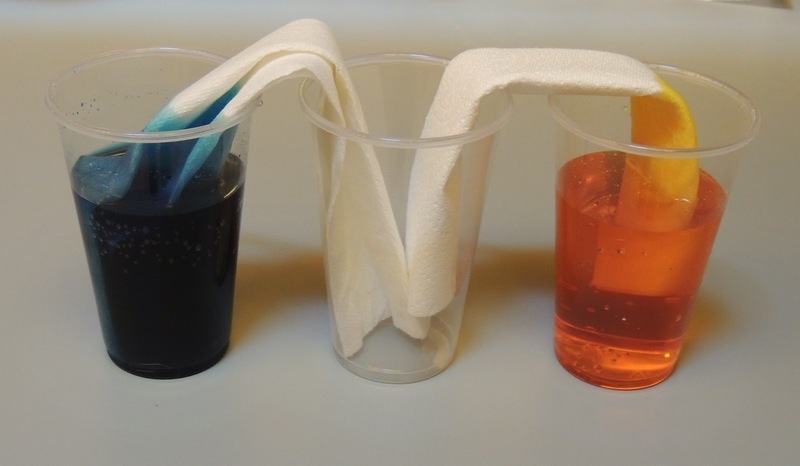 Watch as the colors climb up the paper towel into the plain water cup turning the water green when they mix.